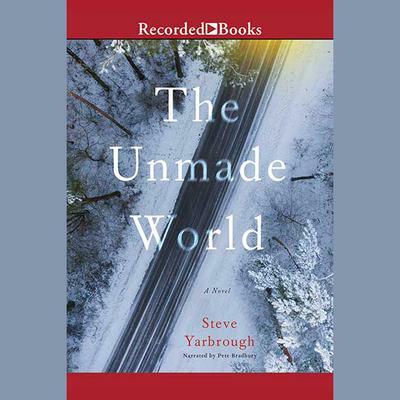 Set against a backdrop of the current political and cultural upheaval in the US and Eastern Europe, The Unmade World is a thoughtful, scope-y literary novel with a dose of suspense that moves from Poland to California to the Hudson Valley and back to Poland. It covers a decade in the lives of an American journalist and a Polish small businessman turned petty criminal and the wrenching aftermath of an accidental, tragic encounter between these two on a snowy night in 2006 on the outskirts of Krakow. The accident costs the lives of the American journalist Richard Brennan's wife and daughter, an event that colors the rest of his life. It also leads to a downward spiral for Bogdan Baranowsk, leaving emotional scars as he suffers the seemingly inevitable loss of his business, his home, and his wife. The Unmade World is a story of ordinary, otherwise decent people from various backgrounds and circumstances who must learn how to live with the personal grief, sense of guilt, and the emotional consequences of violence. Along the way, the novel grapples with a spectrum of cultural and political issues. It includes a murder mystery wrapped around the corruption of major college sports, the pressures on immigrants and refugees in both the US and Poland, the fallout of political change, economic upheavals and armed conflicts--including the horrific destruction of Luhansk, Ukraine in 2014. It also references the 2016 presidential campaign, cultural politics in the American university, and the demise of print journalism, etc., though never in a dogmatic or overtly partisan way.